The Republic of Palau, that is situated in the western Pacific Ocean, celebrates Independence Day on October 1. This is one of the most celebrated national holidays of the year. Spain administered Palau since 1885, when its possession over the islands was approved by Pope Leo XIII. Spain sold the archipelago to Imperial Germany in 1898 after the defeat in the Spanish-American War. During World War I Palau was seized by Japan and remained under its protection till 1944. After a battle of Peleliu between Japan and the USA, the islands formally passed to the United States under United Nations auspices as part of the Trust Territory. Palau started a process toward independence in 1978 and the period of transition lasted till 1994. Eight national referenda and an amendment to the constitution were made during this time. Finally the Compact of Free Association was ratified in 1993 and it took effect on October 1, 1994. De jure Palau gained independence on this day, but in fact it became totally independent nation on May 25, 1994, when the trusteeship ended. 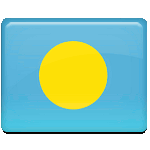 Independence Day is a national holiday in Palau. Cultural feasts are organized to celebrate this holiday.